I used to love nail art and manicure few years back and even went to attend lessons to learn manicure and nail art skills. But I stopped this hobby few years ago due to my work commitment and its hard to keep updated on new nail art skills & designs. Last month, I was invited to attend The Glamourous Factory Nail Art Workshop and get a chance to meet the famous Korean celebrity manicurist Mdm Shigeyama Ai in person! I was so excited about this workshop, I’m a fan of Kpop music and my favourite girl group definitely has to be Girls Generation, I have heard Mdm Shigeyama Ai was their appointed manicurist / nail artisan! nail artisans. She was specially trained in Korea by Mdm Shigeyama Ai to be the first Nail Educator and trainer for the BUB AI Nail System in Singapore. We had an informative Q&A session with Mdm Shigeyama Ai & Yee Sin. Mdm Shigeyama Ai a native Korean who pursued further studies in Japan and met her husband and migrated to Japan. She has 8 years of professional working experience in the nails beauty industry, specialised in offering unique nail designs that was distinctively different from what the other nail shops offer. In year 2007, she started the first BUB Japan nail salon in Shibuya, 2010 she open her first salon in South Korea Gangnam Apgujeong. As years goes by, she decided to develop her own line of nail products named ‘Ai Nail’ and launched in the year 2012. 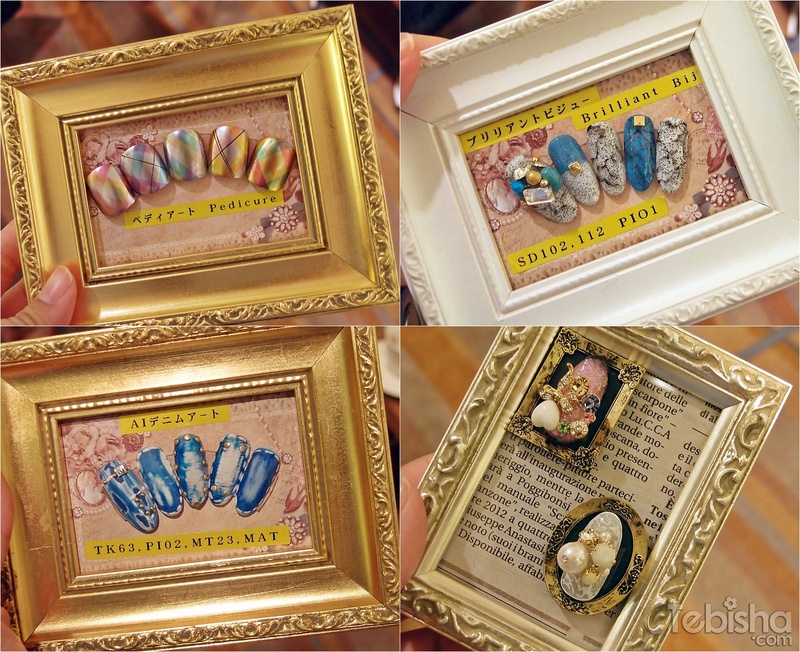 Some of her Nail Art Designs. She continued to offer unique designs, and with her own range of nail products, she was able to create and express designs that could not be found in any other salons. Her signature designs usually highlights Ai Nails’ signature line – Metallic colours. She’s popular among the K-Pop Artists and her salon was touted as Girl Group Girl’s Generation favourite salon. I have some questions to about ‘Ai Nails’ products to her, she managed clear my queries and doubts about the products compared to normal gelish products in the market. 1 of the questions is does we need to file very hard before we can apply ‘Ai Nail’ products? From what I’ve experienced from gelish nail products in the market, we have to file our nails to become thinner in order to allow the gelish colour to stay longer on our nails which is very hurtful to our nails and nails getting thinner and breakable easily. She said ‘Ai Nail’ doesn’t require filing before application, a special BUB cuticle tool to remove cuticles and a buffer to clean up nails will do. File is to use while filing the shape of your nails. ‘Ai Nails’ products are gentle to our nails, so we don’t have to worry about the product will damage our nails. Mdm Shigeyama Ai did a live demonstration for us! Her skills in nail art is remarkable, fast and stable! Seashells Nail Art going to be the Nail trend for this Summer. And this unique metallic seashell designs! Specially created by Mdm Shigeyama Ai. 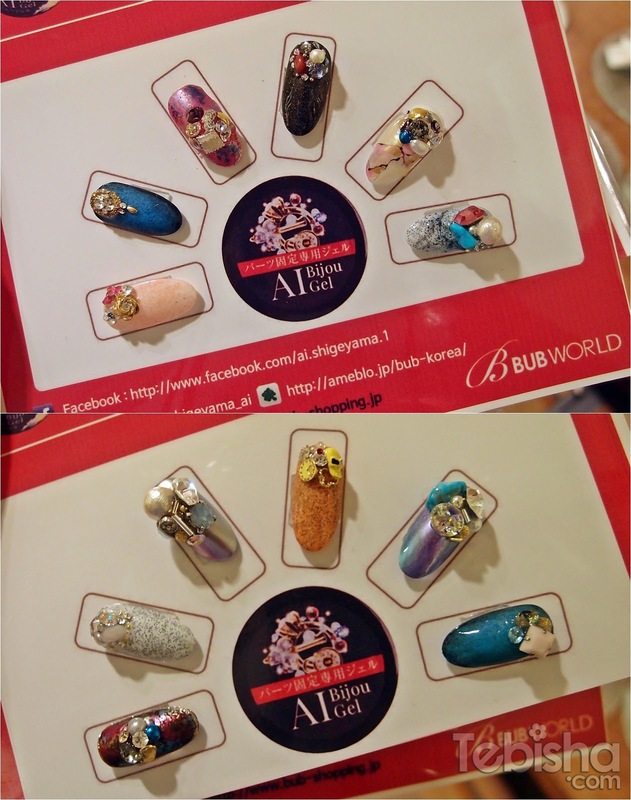 You can own these pretty nail designs on your nails too without travelling to Japan & Korea! Photo opportunity with friendly Mdm Shigeyama Ai. And lastly our group photo. Thanks Access Coms & Yee Sin for this exclusive event and giving me the chance to meet Mdm Shigeyama Ai in person, sharing her nail art tips to us. It was a valuable session for me. Like & Follow Glamourous Factory FB https://www.facebook.com/theglamourousfactory and instagram https://instagram.com/theGlamourousFactory for updates, promotions and info. I have visited Glamourous Factory yesterday, will be sharing my experiences and my nails on my blog soon! Stay tune!